In my nearly three years as a cabin crew member, I've flown enough flights to learn the exact things that I need during a flight to make my life easier and flights more manageable. Cabin crew life is tough on the body and mind - especially if you're not properly prepared. I wash my hands a ton during a flight. Airplanes are dirty. Very dirty. Whenever I can, I use gloves. But sometimes, gloves aren't available or are too far away. So, I resort to a lot of hand washing. Washing my hands with the airplane soap results in very dry hands, especially in the winter time. I picked up this particular hand cream in a pharmacy in Amsterdam Schiphol airport. It was cheap and it does a great job. It's emollient and easy to carry in my tote bag. I reach for this quite often during trips! Flying is very dehydrating, as I've talked about in a previous post. I always drink more water than I think I need when I'm flying because of this. I carry this Nalgene around with me everywhere. I fill it up everyday and push myself to finish it everyday. It works for layovers too - I carry it when I'm out and about or in the gym. As much as I drink coffee, I am English through and through. And I will not travel without tea. Whether I'm working or traveling as a passenger, I always have at least a few tea bags with me. I enjoy a variety of teas - some mornings call for English Breakfast or Earl Grey and some evenings call for some chamomile or ginger tea. Since I've been a tea drinker nearly my entire life, the caffeine content in tea doesn't affect me like coffee does. This is for layovers and times when I'm traveling as a passenger. Depending on the day, I like to find a local coffee shop, grab a drink, and enjoy a book. At any given time, I'm reading three different books. So my layovers are great opportunities to catch up on my reading. And to unplug for a little bit. 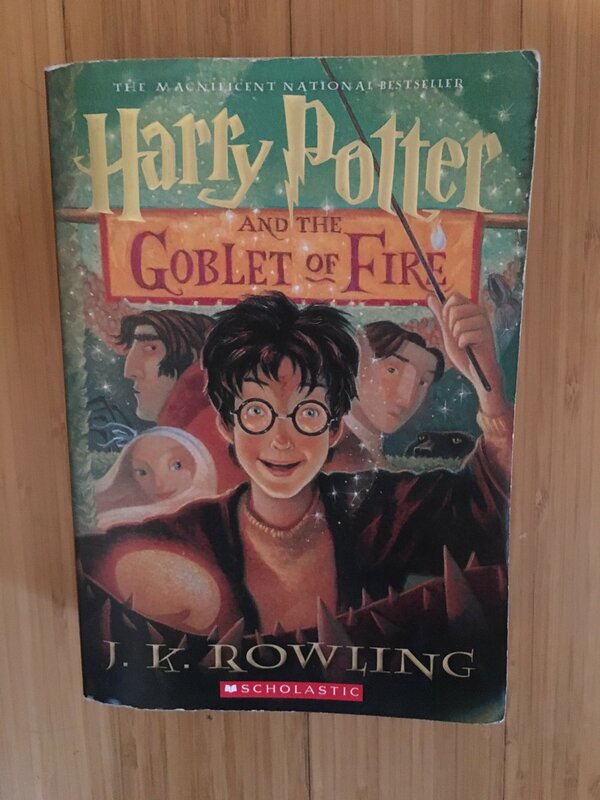 I'm currently reading Harry Potter and the Goblet of Fire (for the first time! ), which isn't the smallest book by any stretch of the term, but I'm okay with lugging it around in my tote. Cabin air + altitude = dry air with low humidity. Nasal spray is good for moisturizing the nasal passages and keeping them clear of nasty things. I carry this around especially in winter time, where the air is dry whether I'm on the plane or not. I always always always have snacks with me. Mostly because I know the kind of monster that I can become if I get hangry. But also because you never know what's going to happen. The only sure thing in the aviation industry is change. Delays, cancellations, reroutes, and everything else under the sun have taught me to always have some sort of food with me. I usually pack my food for my trips, so I'm covered. But I always have extra snacks just in case. Trail mix is great because it's easy to carry, decently healthy, and can be customized if you're feeling saucy.